Starbucks is part of the global plastic pollution problem: tell the coffee giant to stop trashing our planet with plastic! Every minute the equivalent of one garbage truck full of plastic ends up in the ocean. Yet Starbucks continues to serve 4 billion plastic-lined paper cups per year, along with masses of single-use plastic lids, its signature green straws, and cutlery. 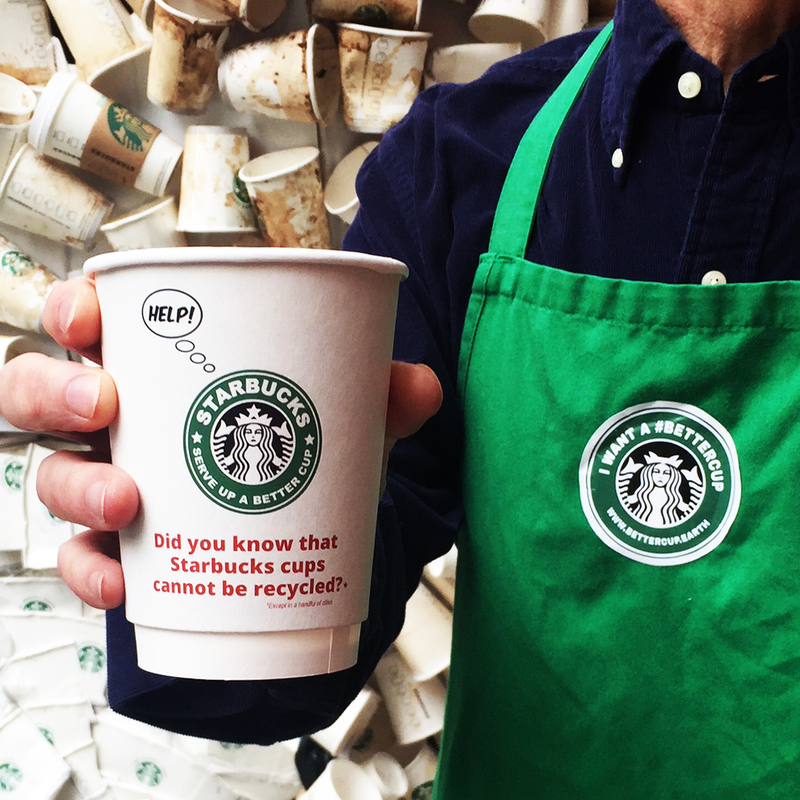 In 2008, Starbucks said it would serve a 100% recyclable paper cup and increase reusables to 25% by 2015. This year, they again promised to make a recyclable cup in 3 years time. Tell Starbucks to live up to its promises now. A collaboration of 5 Gyres, All At Once, Break Free From Plastic, Captain Planet Foundation, Care2, Change.org, Clean Water Action, CREDO, Greenpeace USA, Hannah4Change, Heirs to Our Oceans, Kōkua Hawaiʻi Foundation, Plastik Diet Kantong, Plastic Pollution Coalition, Project Coyote, Stand.earth, The Story of Stuff Project, Student PIRGS, SumOfUs, Texas Campaign for the Environment, UPSTREAM Policy, and Wild at Heart Taiwan. Tell Starbucks to stop polluting our planet.